For those that are serious about their car audio, installing a car amplifier will provide better performance with regards to additional power and improved sound quality. The more powerful your car speakers are, the more powerful amp you require. The best car amplifier is the JL Audio JX1000/1D, which has 1000 watts RMS and variable bass boost centered at 45Hz. It is a premium amplifier for those looking for the best sound quality from their car speaker setup. Amplifiers come with various classes and feature a number of channels to run more speakers. This is an important factor if you have a large number of speakers. 7.1 Why Do You Need a Car Amplifier? When running active subwoofers, you will need a powerful car amp in order to move the cone. On top of this, you should invest into a top rated double din stereo or single din stereos for more outputs and power. The amplifier output is measured in watts, where the power is split up into the channels. For example, a 500 watt 5 channel amplifier will be a 5×100 watt amplifier. Car audio enthusiasts usually invest heavily into amplifiers but its important to research thoroughly. Below is a list of the best car amplifiers for the money, which focus on bass and sound quality. 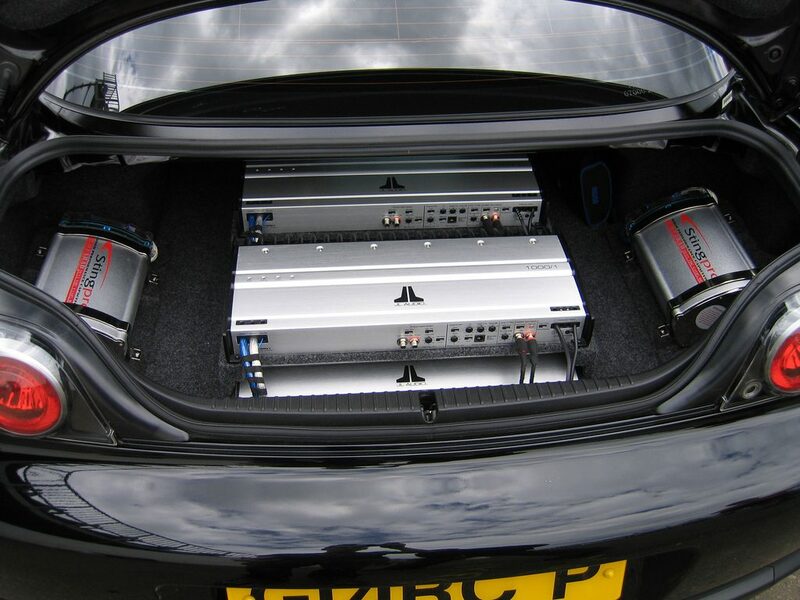 JL Audio are premium car audio manufacturers with many high end car amplifiers available. However, this JX1000 Class D amplifier is one of their better value units that provides superior power within a compact design. 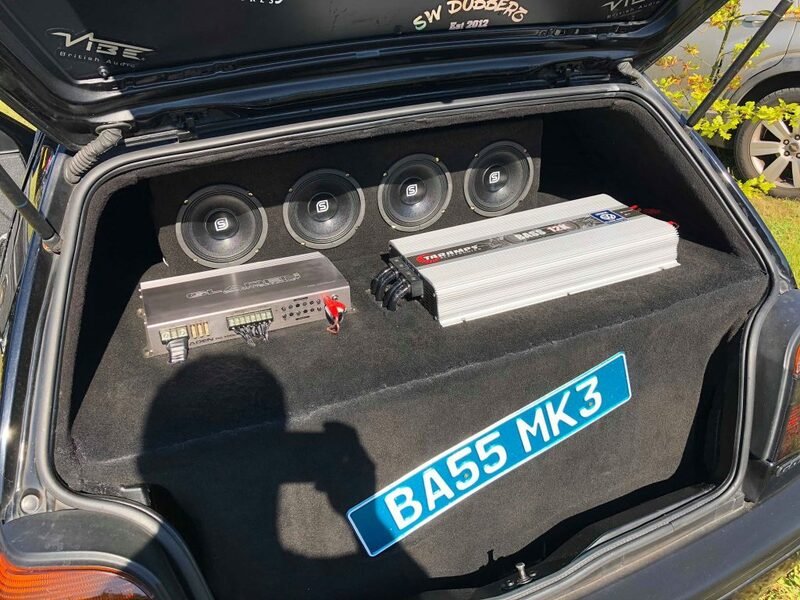 If you are looking for an amplifier that will allow your subwoofer to provide hard hitting bass, this is the car amplifier for you. It is a monoblock amplifier (1 channel) but if you require more channels you can opt for the XD700/5v2 below. 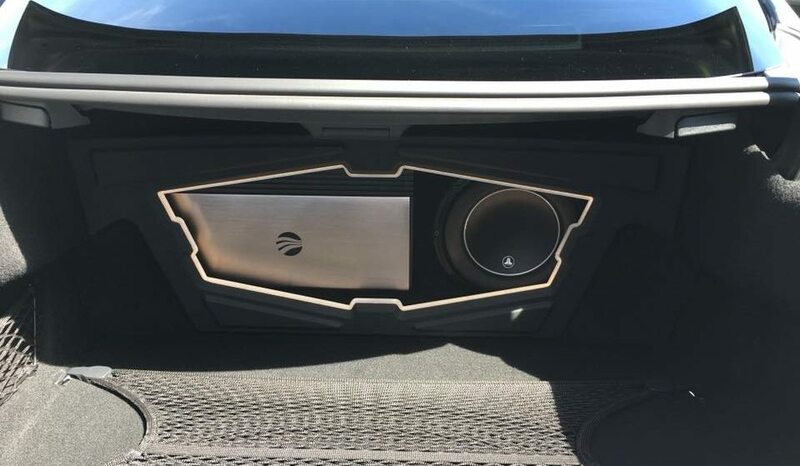 Overall, the JL Audio JX1000 is the best monoblock amplifier for your car that provides excellent performance and relatively good value for money. The low profile design and high power output along with the reputable JL Audio brand makes this a great option for those with limited space. Rockford Fosgate R500X1D Car Amplifier is a good option. The MOSFET power supply provides an excellent source of powerful signals for your speakers. There is also a remote Punch Level Control and 18dB boost at 45Hz that works in conjunction with the on board gain control. The RCA pass through outputs are ideal for both OEM and aftermarket head units for additional speakers. Compared with cheaper alternatives, this RS500X1D will provide more power than is required for your subwoofer and speakers. Overall, the Rockford Fosgate R500X1D is the best cheap car amplifier for powering up your subwoofer and is stylish too with a matte and gloss black finish. If you are looking for additional channels to power up additional speakers, then the JL Audio XD700 is ideal. It is a 5 channel car amplifier that is compact, lightweight and provides plenty of settings for tailoring your audio. Overall, the JL Audio XD700 is the best 5 channel amp and perfect for powering up multiple speakers without losing sound quality. It does come with a rather large price tag but its a worthwhile investment for those serious about car audio. Kenwood are a car audio brand known for their high quality sound and build. Their KAC-M3004 4 channel amplifier is no exception and is very popular across the US for large amounts of clear and non-distorted levels of bass. The compact Kenwood amplifier is perfect for installing in small areas compared with other larger amplifiers which are far too bulky. It can also be used in additional applications that involve moisture such as boats, ATV’s and more. This is because of a clever conformal coated main printed circuit board that provides extra protection. Pioneer is another big brand in the car audio industry and their GM-D9601 is one of their best car amplifier models available. It is expensive but with a compact design that is able to produce 2,400 watts peak power, its worth the extra. The Pioneer GM-D9601 is a powerful amplifier that is able to provide hard hitting bass from your subwoofer. Even though it is relatively small compared to similar power amplifiers, it still out performs the majority with very clean and loud audio. The purpose of a car amplifier is to boost the low level audio signal generated from your head unit. This then provides the power that moves the cones of your subwoofer in your car for that hard hitting deep bass and other car audio speakers. You should never spend huge amounts on your speakers and subwoofer but buy the cheapest car amplifier. If you do this, what is the point? An amplifier is often forgotten about by many beginner audio installers. You can only take it to the next level by buying a car amplifier and installing it correctly with an amp wiring kit. With an amplifier, you have a clean source of power that can be driven to your speakers without straining any of your equipment. Car Stereos are usually limited to a maximum capability of 10 watts RMS (Root Mean Square) of power output for each channel. The higher the RMS rating, the louder your car audio can be without distortion and this is the most important figure when looking at car audio. This limitation prevents the stereo from being able to exclude road noise from interfering with the quality of the music, especially at high volumes. Much unlike a built in amplifier, which can significantly improve the sound quality of your existing factory stereo. Amplifiers also serve as sufficient power for superior high grade speakers. In the instance that you purchase expensive, top-of-the-line component systems or aftermarket speakers, the amplifier provides the correct voltage of power in order for them to work efficiently. A compact four channel amplifier will provide sufficient power to boost both the front and rear speakers of your vehicle. Amplifiers are equipped with inputs that are designed to specifically handle the high-level signals that flows from the wiring of the speakers. While the first number is not important, the second number is representation of the driving power of the amplifier into speakers in which the fullest and best operation can be derived. Because these numbers are usually conservative when compared to their actual output, is important to keep in mind that your speakers may require an output that is as much as 150% of the rating in order to operate efficiently. Typically speaking, the best results are often achieved when the speakers can derive, at minimum, 75% of the power rating. Additionally, amplifiers provide power for subwoofers as well, as they require an extreme amount of power that only an amplifier can provide. An important aspect to buying a car amplifier is deciding on how many channels are required for your audio install. A 3-channel amplifier can effectively power a sub. But a 4-channel amplifier can be bridged together in order to operate the subwoofer with additional power. A 5-channel amplifier can conveniently power a more enhanced system, in a compact manner. 6 and 8-channel amplifiers are specifically designed to operate 3 and 4-way systems, with one driver dedicated to each amplifier channel and two channels bridged together to operate a subwoofer. The power of an amplifier is split between the channels. For example, if there is 300 watts of power between 3 channels, each would have 100 watts. If you only want to power up your powerful subwoofer, its advised that you go for a monoblock/single channel amplifier. Speakers in your car that are under powered by a cheap amplifier will sound distorted. You are always better buying a more powerful car amp that will run with no stress for a reliable car audio setup. People enjoy the feeling of the bass in the car, not just the sound. But your standard factory speakers and stereo system is not equipped to deliver such power. In order to achieve the hearty baseline, you must ensure that your amplifier has a low pass filter that only delivers low-frequency audio to the subwoofer. Its important to note that if you have set your receiver up for low pass filters, bass boost or crossovers, do not do it with the amplifier too. This will increase the distortion and the overall sound quality. Amplifying the bass with an improved amplifier that matches your speaker wattage is a great way to increase performance and bass for your car audio setup. An amplifier class is the type of structure of the amplifier electronic circuit and characteristic. Different classes often have different efficiency, performance and power resources. There are five main types of amplifier classes that are used within different amplifiers. They are A, B, A/B, G & H and D, which all have there Pro’s and Con’s. Class A amplifier is the simplest that uses a single transistor in a linear mode. Class B use a pair of transistors in push-pull type of application, which is more efficient than class A but crossover distortion may occur. Class A/B is used for most low cost designs and is a mix of A and B, where there is a small continuous current when no input is present. When the input signal is high enough voltage, only one transistor will conduct but both of the transistors will conduct when the input signal has zero volts. Class G/H is an improved Class A/B where both work on the power supply section. If the output power is high, then a higher voltage power supply is required. Class D is mostly used for low cost solutions where the the devices will work as electronic switches as opposed to a linear gain. The impedance of a car amp is the electrical resistance of the speaker, which is measured in Ohms. However, if you are looking for the best sound quality, this is a figure you will want to keep your eye on. JL Audio are usually have the top audio quality with low audio impedance. Many manufacturers claim excessive peak power ratings but the actual output may be far less within cheaper models. The majority of amplifiers will be using a 12 volt system and you can measure the actual output power rating by multiplying the AMPS by VOLTS. Check the fuses to see what type of amps is being used for the audio system. This is usually a common car audio problem that most rookie audio installers come across when installing a powerful amplifier. For audio installers wanting to run a subwoofer without using a monoblock amp, bridging is a method of increasing an amplifier channels power. For example, 2X100 watts could create 1 200 watts channel. The majority of 2 and 4 channel amplifiers can be bridgeable to power up a subwoofer. Amplifiers that have 3 or 5 channels such as the JL Audio amplifier sometimes have dedicated subwoofer channel that reduces the need to bridge between channels. For those that are new to bridging a car amplifier, we highly recommend that you check out this guide before attempting to do it yourself. If you are yet to install a car amplifier but have upgraded all the other audio inside your car, now is the time to get one. The upgrades you have made to your existing car audio will not be able to reach its full capabilities without one. Budget plays a big part in car audio and its no different when it comes to car amps. In order to get the performance that you desire, you will need to spend the extra. We highly recommend sticking to big brand in the audio industry for the best results. All of our recommendations cover a wide range of car amplifier types and budgets to suit your requirements. The amplifier of your car is the brains to the overall sound quality and its important that you choose wisely.